Ten percent of homes have water leaks that waste 90 gallons or more water per day. Participate in National Fix-a-Leak Week by fixing a water leak this month. A leaky faucet that drips at the rate of one drip per second can waste more than 3,000 gallons of water per year. If you have a dripping faucet or running toilet, these need to be fixed first and will solve the obvious water leaks. If you need to call a handyman or plumber.. the time is now. If you want to give it the DIY try, visit EHow.com for a straight forward method for fixing common faucet and toilet leaks. However before you start, make sure you have already read my post on Water Supply Cut Off and City Water Cut Off. Even though fixing water leaks is not normally what I would consider as preventative maintenance, fixing a faucet or toilet is something that is hard to miss, if you see it leaking….fix it. However, some water leaks can occur in places you would not normally view. Under the sink, behind the refrigerator, and under the house are just some of the places. These type water leaks can go unnoticed for weeks, months or even years. These leaks not only waste water but can cause structural damage to wood floors as well as foundations. If you have no leaks, this inspection is about 5 minutes. If you do, plan on a good part of the day. Good luck . This inspection method is really about finding those hidden leaks. Insure that nothing will be turned on (dishwasher, toilet, sprinklers, etc. ), or activated during this test. Before performing the inspection you must gain access to the meter. 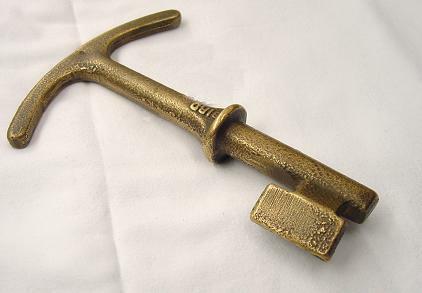 This may require a meter key that can be purchased in the plumbing section of any home improvement center. Once you have the meter box open, the meter should be visible. 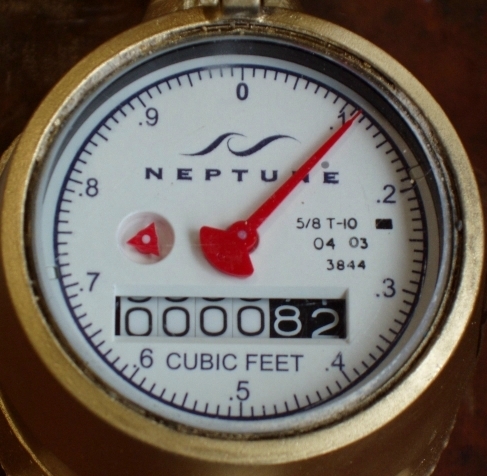 There are at least a dozen different water meters having different dials and gauges. Look for the “Low Flow” gauge in the meter (in the meter pictured here, the low flow indicator is the little red blob to the left of the large sweep hand, between the 7 and 8 on the dial). If you are unsure which gauge it is, turn on a faucet, leave it on and look at the meter. One of the gauges in the meter will be moving faster than any other part of the dial; this is the low flow gauge. Turn off the fixture, return to the water meter and watch the low flow indicator for approximately 3-5 minutes. If the meter progressively moves forward, you have some form of leak, if not no further investigations are required. If you do have a leak, you can call a professional or try to further isolate the problem. Either way, it may take some time as some the leak may not be visible. $TIP$: Isolating the leak before calling the plumber will save you some money as the plumber will charge you by the hour whether he is looking or fixing a leak. Before we start the leak isolation test, turn the water off here (to make sure you can). It may seem like a simple task and why should you do it just to say you can? Because when you really need to, time is of the essence, and you don’t have time to search for the right tool. This cut-off (on the street side of the meter head may be hard to get to, so find the right wrench that will work for you). A crescent type wrench works best for me. The cut-off is probably a ball valve and you will only need to turn it 90 degrees from its current position. If you find a lot of water or condensation on the fixtures, save the test for a dry or warmer day as this condition will make it difficult to find your problem. As mentioned in the beginning of the article, you should have already fixed any obvious dripping faucets. This isolation method is for the hard to find leaks. If the low flow meter stops after any one of the isolation steps, you have found the source of the leak. One at a time, turn off each fixture at the wall and return to the meter to watch the low flow gauge. This should include all faucets, toilets, ice makers, water filters, dish washer and water heater (inspect last). If the meter stops, there is a leak between the cut off and the fixture. If you find water dripping or puddles, take some unused toilet paper and wipe down the hose, pip, cut-off, fixture and both ends of the connection; everything under the sink. TRICK: Why use TP you ask? TP is very absorbent, very pliable and you can see any water trace in the paper. Water travels down hill so look at the joints above the first sign of water. With the water turned on, start your inspection from the highest joint/connection. Look at the TP after wiping down each joint/connection/pipe section/cut-off. If you find any water deposits on the TP, you may have found the leak. Leaks are usually found at joints, couplings and connections. Assuming it can be tightened, do so by hand if possible or with a wrench, or call a plumber. TIP: Most plumbing connection are made with soft plastic, copper or brass, only tighten the joint to the point of not leaking, over tightening can cause it to leak worse. Many plastic joints ca be tightened by hand. After tightening the joint, dry it completely and perform the TP test again. Perform the test at least twice. If the leak persists, replacing the rubber washer or seal at this joint may be required. Toilets: Toilets require the TP test as well. Since most residential toilets have a tank, you will have to verify that water is not leaking from the tank to the bowl. Remove the lid from the tank and add some colored tank bowl cleaner to the tank water (do not flush). Give it about 5 minutes, then see if any of the color has leaked in the bowl. You may have a leaky flapper valve. Check the water meter again. Hopefully you fixed it, but you could still have more leaks. Perform this series of tests as required for each water fixture in the house. This will include all faucets, toilets refrigerator mounted ice maker, dishwashers and any other water consuming or delivering device. 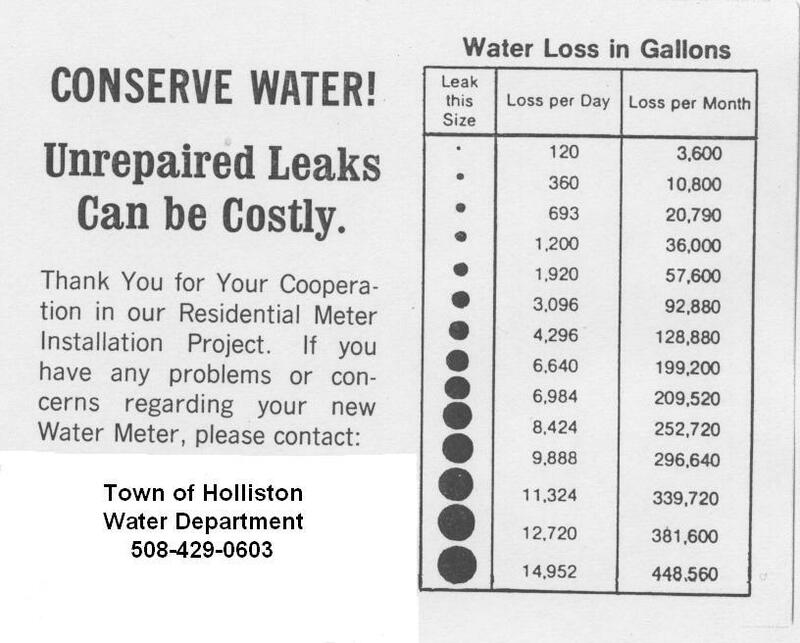 Just to visually understand the relation to size of hole to amount of water loss, check out this table. Look for articles on Sprinklers Leaks and Plumbing-Chasing Leaks Part II for additional leak detection methods. 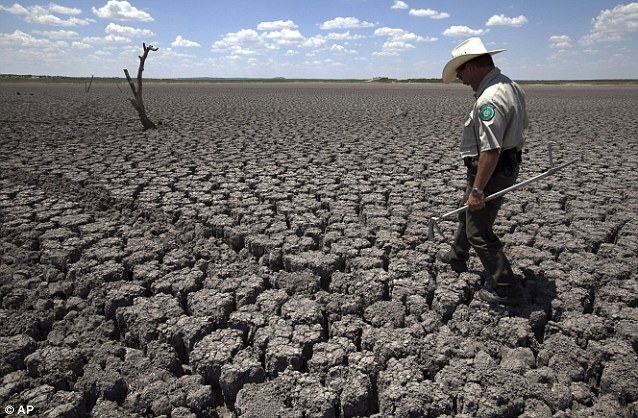 If you are new to North Central Texas you may have never seen soil quite like this. Known locally as Black Gumbo, this clay soil has a Jekyll and Hyde personality. In the fall, winter and spring it can be tolerable even though it will stick to everything that it touches it. But dry summers will change its personality. It can create cracks in the ground large enough to swallow small animals. Break it up into small pieces and it become a weapon of mass destruction…. throw a clod at some one and you can easily put some ones eye out (as my mom would say). I have never met a shovel that liked it. The weapon of choice to dig in black gumbo? A Pic. With all that said, what does that have to do with home foundations you ask? A lot; the properties of this soil allows it to shrink more than 15%. For this reason, the soil surrounding the foundation can easily pull away and leave it un supported or cause footings to permanently move. Because of these characteristics, foundation repairing is a big business in Texas. The two most common foundations are pier and beam and post tension slab foundations. Both can be repaired but slab foundations tend to be the ones with the most dramatic problems. If foundation concerns are not addressed BEFORE they start, it can cost 10’s of thousands of dollars to repair them. To protect your foundation (regardless of the types mentioned), you must water your foundation. Even though most sprinkler systems will help, most were designed to spray water away from the house. To complicate it further, many cities are enforcing landscape watering restrictions. Probably the most important fact associated with watering foundations is to do it 12 months a year. It is very import to maintain a constant moisture content to retain soil consistency. 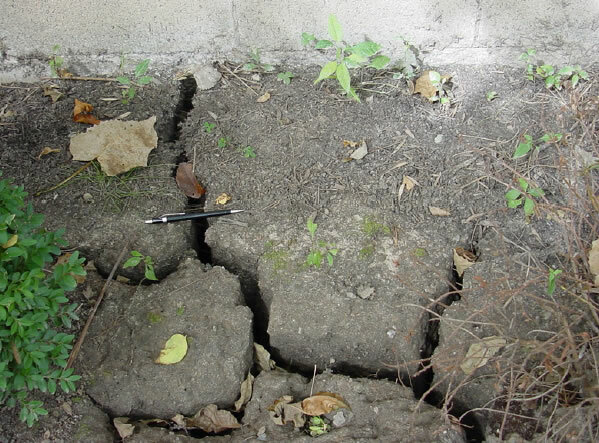 Even if you only have minor issue (sticking doors, squeaky floors), managing the porosity of soil will even out the issues for a more stable foundation. How to Water a Foundation: There are several methods. Hand Watering: I dont recommend this method, but it can work. It can be difficult to consistently apply the same amount of water around the entire foundation with a systematic approach. Soaker Hoses: By far the most popular, “soaker hoses”, are easily attached to water outlet and draped around the foundation of the house. These come in 25 and 50 foot length and can be connected in series. Try to place them within about 6 inches of the foundation. (TIP:Keep bare landscaped areas covered with a natural mulch (pine or hardwood bark, etc) This too will assist in retaining the moisture content around the structure. Covering the soaker hose with the mulch is acceptable.). You will need to inspect these regularly as I have found they deteriorate fairly quick (less than 3-5 years). Additionally, neighboring visitors (rats, mice, raccoons and such) have found a liking to chew on hoses, in turn puncturing them causing excessive water to come out in one place. Once broken, I have not seen a good way to repair them, so you will have to replace the hose. 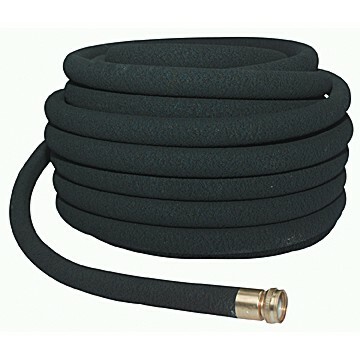 Drip Lines: These hoses are designed with drip emitters in the hose every 12 inches. You can deploy them in the same method as mentioned for the soaker hoses, but the hose material is a bit more stiff. Staking them will help as they do not like to lay flat to the ground. You can purchase the hose in bulk from the Orange Box store of Sprinkler Warehouse. You will need to also purchase inter-hose connectors as well as a way to connect to your water source. Regardless of the method of disbursement, doing it consistently is just as important as the watering itself. 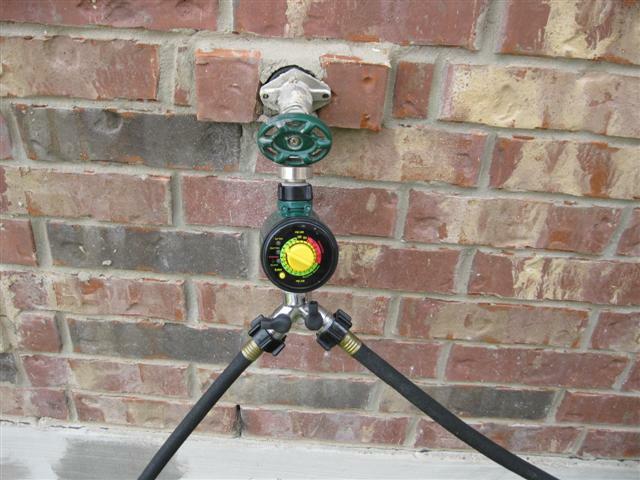 Take a look at Watering Your Foundation to see a semi-permanent installation guide to foundation watering. You are currently browsing the Homeownerbob's Blog blog archives for March, 2012.